Kalk Bay on the Cape Peninsula has become a popular trendy tourist attraction with its host of eateries, art shops, bric-a-brac shops, theatrical offerings and so on. It is also famous for its working fishing harbour complete with Cape Town’s most popular fish and chip shop – ‘Kalkies’. But few know of its rich history or how that in part the vibrant harbour and small town commercial activity emerged from an exiled Filipino community who integrated into the small existing free-slave fishermen eking out their living from the sea. The enterprising Free-black fishing communities from Kalk Bay up the east coast and from Table Bay up the West Coast has a long and intricate history going back to the 1660s that also goes unacknowledged. There is no place of tribute nor any explanatory community museum about either the Fred-slave fishermen nor the Manillas. 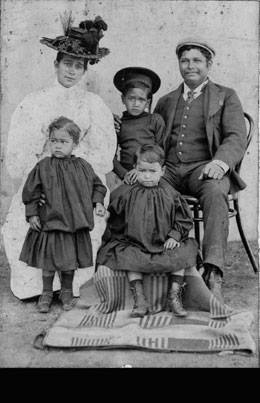 The Manillas (Filipinos) of Kalk Bay as they were known, are another piece of the jigsaw puzzle that constitutes our Camissa Creole heritage – the genetic and cultural roots that were embraced by the descendants of Khoena, San and other African peoples as well as by non-conformist Europeans at the Cape. Amongst us today throughout Cape Town there are a host of Spanish surnames – Fernandez, de la Cruz, Florez, Padua, Manuel, Pasqual, Garcia, Croza, Palma, Torrez, de la Varcia, Bonaventura and many, many more. These generally go back to the Manillas. The Filipinos, nicknamed the Manillas, were exiles or refugees from Spanish repression in the Philippines. Over the troubled and extended revolutionary period between 1860 to 1880 they trickled into the Cape as word spread by the first Filipino, Felix Flores, who arrived in Cape Town in 1863. By the time of the successful revolution led by the Katipunan and the La Liga Filipina, the Manila chapter of the Propaganda Movement and its rebel army, which saw the expulsion of Spain from the Pilippines in the late 1890s, the Manillas of the Cape were well settled in their new home and their children were Capetonians. In the middle of the revolutionary period in 1870 and 1872 respectively, the Labios Revolt and the Cavite Mutiny, saw a dramatic increase of Filipino exiles arriving in the Cape. By 1882 there were 68 Manilla families in Kalk Bay. In 1898 the Primera Republica Filipina was established by Emilio Aguinaldo and a new Philippines Republican Army replaced Spanish military control. Staunchly Catholic and imbued with revolutionary nationalist and anti-imperialist sentiments these Filipinos had fled to England, Hong Kong, Japan and South Africa. The catalyst was the execution of three of their leaders – revolutionary priests Burgos, Gomez and Zamora during the Cavite Mutiny against the imposition of a new tax, led by restance leader Sergeant Ferdinad la Madrid, against Governor General Rafael de Izquierdo. We are able to trace the history of the Manillas of Kalk Bay, not through historians, but rather through a inquisitive journalist back in 1946, by the name of Maxwell Price who wrote for the Cape Times. Max took his readers back to the time when there was just a track known as ‘the friendly road’ going beyond Farmer Peck’s Hostelry in Muizenberg. He painted a picture of travel on the muddy road by ox-wagon and Cape Carts and how these drivers had to pay their tolls at the old toll-gate at Muizenberg (they had their own version of e-tolls back then). The area between Muizenberg and Simonstown in those days was quite precarious and inhospitable and on the way Kalk Bay as we know it today was just a little twist before the bend leading to Fish Hoek. Max Price relates how the founding father of the Manilla community, Felix Flores (later known as Florez) came to be in Cape Town. Felix was born on Panay Island in the Philippines in 1844 and arrived in Cape Town in 1863. From a photograph of Felix on board a vessel it would seem that Felix Flores arrived on the CSS Tuscaloosa. This was a vessel seized as spoils of war by the CSS Alabama and commissioned into the Confederate Navy of the rebel Confederacy at Civil War with the Union of States in North America. The two ships had sailed down the Latin American coast and on to the Indonesian and Polynesian islands before arriving with much fanfare in Cape Town (Daar Kom Die Alibama) with some of the crew jumping ship and settling at Churchhaven on the West Coast. Felix would have boarded the ship as it passed through the Phiippines where it took on extra crew. The Royal Navy at Simonstown seized the CSS Tuscaloosa to return it to its rightful owners, while the CSS Alibama continued on to France where in French waters a sea battle ensued with a Union ship and the Alibama was sunk. The Crew of the CSS Tuscaloosa were thus stuck in Cape Town for awhile and this is when Felix fell in love with what would become his new home. He also spread the word to others in the Philippines. Felix set up a shop in Kalk Bay and married the daughter of a German Count and a Mazbieker former slave. Their business supplied the arriving migrants from the Philippines with provisions, fishing gear and he organised accommodation too. Felix was the godfather of the community. The community spoke a mixture of Spanish, Tagalog and English and soon began speaking their own comical version of Afrikaans. Together with an eccentric Spanish speaking Irish Catholic priest F Duignam the Manillas built a Catholic Church at St James, by blasting rock for the purpose. Fr Duignam ensured 100% attendance at Holy Mass by a rather unusual means. He carried a sjambok which he called ‘Nagslang’ through which he ensured with the blessing of his Manilla congregation that all youngsters in the community towed the line. Fr Duignam succeeded Felix as the uncrowned king of Kalk Bay. He died in 1931. We last communicate some years back when I first wrote about the Manillas of Kalk Bay. The Photo shows Franzina Elisabeth Florez and Christiaan Adams with their children. Today the thousands of descendants of the Manillas are integrated in families throughout the length and breadth of South Africa and are another part of our hidden dna and culture, like the indentures, the Siddis, the Kroomen, the Saints, the Mazbiekers and so much more. I have a great feeling this is where my grandfather Samuel Daniel Flores comes from.He settled in Port Elizabeth. In 2013. My wife has documents such as her grandfather’s baptism certificate (in Spanish) as well as the marriage certificate of her grandparents marriage which took place in St James.